According to Wikipedia definition, a "gear" or "cogwheel" is a rotating machine part having cut teeth, or cogs, which mesh with another toothed part in order to transmit torque, in most cases with teeth on the one gear of identical shape, and often also with that shape (or at least width) on the other gear. Spur gears transfer rotational motion in the same plane. Spur gears or straight-cut gears are the simplest type of gear. These gears can be meshed together correctly only if they are fitted to parallel shafts. Hellical gears also transfer rotational motion in the same plane ( similar to spur gear)however, the gear teeth are designed to make the motion transfer much smoother than them. Helical gears can be meshed in parallel or crossed orientations. 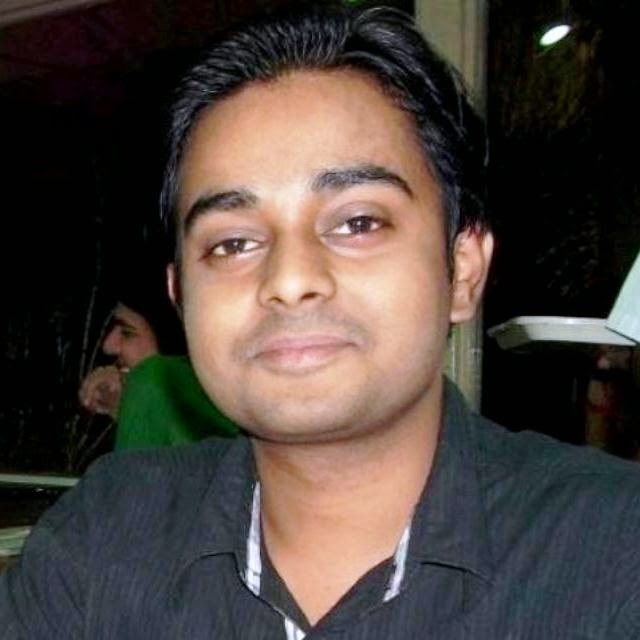 For example the below one. Bevel gears help in changing the direction of the rotational motion. An example is shown in Figure . The shafts in bevel gears do not have to be at right angles. They can be at any other angle such as 45 degrees. The angle between the shafts can be anything except zero or 180 degrees. Worm gears also change the direction of the rotational motion. Worm gear produces motion at right angle to the input gear. A worm gear is usually meshed with a spur gear or a helical gear, which is called the gear, wheel, or worm wheel. 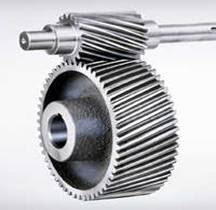 Rack and pinion gears convert rotational motion into translational or vice versa. A rack is a toothed bar or rod that can be thought of as a sector gear with an infinitely large radius of curvature. An example is shown . Planetary gears provide more complex control over rotational motion. An example is shown in Figure. It has a central gear (sun gear), planet gears, ring gear, and an arm. The input and output shafts can be connected to the ring gear, the sun gear or the arm, giving different angular speeds. One can have different number of planet gears including one. 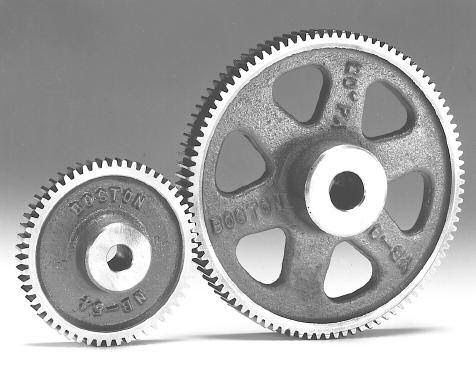 Gears can be connected to each other to produce very large mechanical ad-vantages. These are called compound gears. An example is shown .